Solar Jobs Are In High Demand! 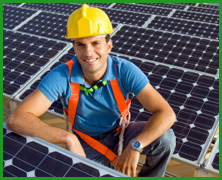 If you are in construction and unemployed, or are worrying about becoming unemployed, you have a great opportunity to get into a growing field of Solar, as a Solar panel Installer . Renewable energy jobs will be the jobs of the future. By learning this trade today, you will be securing your future for tomorrow. 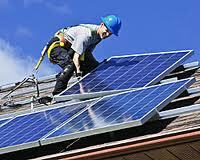 Solar panel installers are responsible for installing solar panels onto rooftops of residential homes, eco-friendly condominiums, outdoor lighting systems, and anywhere else where solar panels are needed. The majority of solar installers have at least a high school diploma and some sort of experience in mechanical or electrical installation. 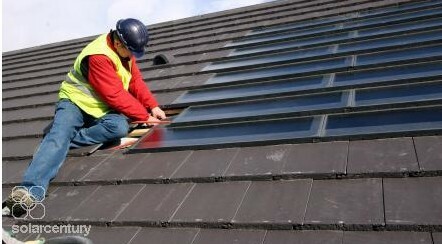 The demand for solar installers is growing rapidly and employers are looking for workers with specific solar training. As a result eRenewable Resource Institute Providing ISPQ Accredited* Hands-On Solar Installation Training located in sunny Phoenix Arizona is offering a variety of classes to meet the need. All eRenewable students qualify for ARG STAFFING’s free “green staffing machine,” services that include assistance with job placement and career enhancement. Classes are limited so visit the website, http://www.eRenewableResouce.com, for a complete list of available classes and dates. Business owners take note that all eRenewable Resource classes qualify for AZ State Fund‘s TUITION REIMBURSEMENT through the Workforce Investment Act (WIA). Employers sending your workers to our school to upgrade their skills won’t hurt your pocketbook either as Arizona State reimbursements is up to 90%. For individual professionals or entry level workers, we offer a variety of financing options for you as well. All aRRI courses provide eligibility for a paid internship through our staffing partner, ARG Staffing, and all students qualify for ARG Staffing’s free “green staffing machine,” services that include assistance with job placement and career enhancement. Over 600 Solar jobs are coming to Arizona! As a result of Arizona’s booming solar industry, one of Arizona’s largest and most successful solar companies, First Solar, Inc. announced it will build a new U.S. manufacturing center in Mesa, Ariz. First Solar will invest about $300 million in the factory, which will create approximately 600 jobs when finished and will include four manufacturing lines. Construction will begin in the second quarter of 2011. The new Mesa facility is approximately 30 minutes from First Solar’s corporate headquarters in Tempe, AZ. With the need for these many jobs in such a short time would be a windfall for the state of Arizona, but it also is challenging based on the current available Solar trained labor force in Arizona. As a result eRenewable Resource Institute Providing ISPQ Accredited* Hands-On Solar Installation Training located in sunny Phoenix Arizona. All eRenewable students qualify for ARG STAFFING’s free “green staffing machine,” services that include assistance with job placement and career enhancement. Classes are limited so call today, or visit the website, www.eRenewableResouce.com, for a complete list of available classes and dates. Arizonians looking to break into the renewable energy industry now have new tuition help options thanks to; Arizona Workforce Connection, Department of Economic Security Workforce Connection for Veterans, Central Arizona Association of Governments, Arizona Women’s Education & Employment, Northern Arizona Council of Government and Goodwill of Central Arizona’s recent approval of eRenewable Resource Institute as a supplier of renewable energy education. In many cases the new supplier approval status provides qualified candidates with up to 100% tuition assistance for eRenewable’s Photovoltaic Installer Program and Photovoltaic System Design Program. “Renewable energy careers in Arizona continue to grow to date; many of our graduates looking for experience have found it. The new supplier status will help more individuals take advantage of the nationally recognized training right here in Arizona,” said Renewable Resource Group founder and CEO, Donna Marie Bertault. All eRenewable Resource Institute entry and advanced level solar installation classes focus on residential and commercial solar design, installation and compliance through Institute for Sustainable Power Quality (ISPQ) curriculum, hands-on working labs and seasoned solar professionals. eRenewable Resource Institute helps potential students tap into both tuition aid and career assistance at no additional cost to the student. Enrollment is currently underway for the next five-day PV 100 Beginning Solar Installation and Design class which begins March 21st. Potential students are encouraged to learn more by visiting www.erenewableresource.com. eRenewable Resource Institute headquartered in Mesa, Arizona, is licensed by the Arizona State Board for Post-secondary Education and ISPQ* accredited by the Interstate Renewable Energy Council. eRenewable Resource Institute is a renewable energy school and a NABCEP approved provider for the NABCEP Entry Level exam. According to a recent study conducted by GTM Research the United States PV market is expected to double within the next year. The falling prices of solar coupled with the domestic economy resurgence see a bright future for solar here in the U.S. While Germany, the current top solar market, will soon land in second place thanks to a thriving solar and green initiative push by the United States government. GTM Research projects new projects in 2011 will provide at least 50,000 new jobs and over $6.1 billion in annual investment growth in the U.S.
GTM Research also estimates that demand for PV installations will grow by roughly 50 percent annually to between 1.5 Giga Watt (GW) and 2 GW in 2012. This growth could support at least 50,000 new jobs and over $6.1 billion in annual investment, and it will allow 1.5 million homes to enjoy clean, reliable solar energy. Despite the recession, the report argues that 2009 is a record year for the U.S. PV Market. Installed projects will reach 440 Mega Watt (MW) in 2009, up from 320 MW in 2008. By 2011, demands will more than double to reach 1,212 MW. Arizona is positioned to be one of the top producers of the solar energy industry due to state incentives and huge savings offered to residents and companies through Arizona’s Energy providers, APS and SRP. Arizona is gaining on California’s lead thanks to these initiatives. With these new opportunities, it is more important than ever to understand the complex mix of incentives and regulations that govern renewable energy growth in these new state markets. With this demand for skilled workers, now is the time to get trained in all areas of solar. Arizona has one of the best nationally recognized schools in Phoenix, eRenewable Resource Institute (eRRI). eRRI provides ISPQ Accredited* Solar Installation training and are NABCEP approved providers. Combined with their partnership with ARG Staffing, the ‘Green Staffing Machine”, eRenewable Resource Institute creates career paths into the renewable energy industry that are sought after. Classes are limited so courses fill up fast – so don’t wait. For more information visit their website www.eRenewableResource.com or register directly online. The Interstate Renewable Energy Council (IREC) is the North American Licensee for the ISPQ Standard for Accreditation & Certification of renewable energy Continuing Education Providers. *ISPQ accreditation, issued by The Interstate Renewable Energy Council, is not a recognized accrediting body by the US DOE. Arizona has more than just perfect weather and inspiring sunsets, it also boasts three hundred days of sunshine a year making solar technology ideally suited to Arizona’s climate. Arizona is rapidly becoming the hub for Solar Technology with the world’s largest Solar Plant, Solana, under construction in Gila Bend and ready to power more than 70,000 homes in 2011. Spanish for “sunny place,” Solana will not emit greenhouse gases and will provide APS with more solar electricity per customer than any utility in the U.S.! Salt River Project, another one of Arizona’s foremost power provider, will be examining its green energy portfolio and soliciting public input on potential changes. SRP is the state’s second largest utility and has set goals of having 15 percent of its power provided by sustainable sources by 2025. With all these new solar projects and conversions Arizona doesn’t have enough skilled professionals to accommodate the demand for solar skilled installers and designers today. Displaced workers and employed professionals can get NABCEP certified right here in Arizona. eRenewable Resource Institute, the only free-standing solar school in the state of Arizona, provides ISPQ Accredited* Hands-On Solar Installation Training that prepares you to get your certification. Make it your goal for the New Year to get certified and into the ‘Green’ with a job in renewable energy. Classes are limited so visit the website, www.eRenewableResouce.com, for a complete list of available classes and dates. 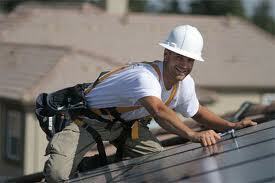 Get accredited training and start your new career in solar right here in Arizona. The courses offered at eRenewable Resource Institute – www.eRenewableResource.com. are all accredited by the IREC’s ISPQ Award Committee and will provide you the education you deserve. Continuing Education Accreditation is highly sought after by those in the solar industry who know what it takes to succeed. You will receive accredited training from certified instructors and top field engineers. The three courses being offered focus on different levels of training. The PV 100 workshop is an introductory course to the fundamental concepts needed to work with PV systems. The PV 150 gives hands-on training for installation of solar-electric system under expert supervision. The PV 200 advanced training course allows you apply for the National Electric Code (NEC) electric systems based on solar energy certification. What does it mean to achieve ISPQ Accreditation? It means that you are receiving the best training in the industry, as our program has been given the highest accreditation by the Interstate Renewable Energy Council, and the ISPQ Award Committee. As an ISPQ Accredited Continuing Education Provider, we are authorized to proudly display the IREC accreditation logo for the courses which we offer. Accredited coursework on your resume stands out over those without. Your current and future employers can rest assured they are working with individuals trained from accredited schools. These courses are also backed by ARG Staffing, a recruitment and career development agency catering to organizations like an eRenewable Resource Institute – www.eRenewableResource.com or any institute involved in green energy vocational studies. So start the New Year off with a new career in Solar, the hottest growing industry in the world. eRenewable Resource Institute – www.eRenewableResource.com, Arizona’s top accredited Renewable Energy School, can get you on the fast track to success. Don’t wait until next year to get registered. New Solar installation and Design classes forming now for January! Call now, 480-446-0400 or visit our website, www.eRenewableResource.com. eRenewable Resource Institute is proud to announce that we now offer financing for professionals who want to break into the solar industry. According to a study by the Pew Charitable Trusts, jobs in Arizona’s green industries grew faster than overall state employment over a recent 10-year period so don’t miss out on this opportunity. Today you can get your career on track and funded in as little as 1 week with beginner and advanced classes offered through eRenewable Resource Institute is the first and only licensed Private Post-Secondary Education School in the state of Arizona. Solar is our business both as educators and when it comes to helping our students launch or enhance their green careers. All aRRI courses provide eligibility for a paid internship through our staffing partner, ARG Staffing and all students qualify for ARG Staffing’s free “green staffing machine,” services that include assistance with job placement and career enhancement. It’s never been a better time to jump with both feet into a new career in solar and it’s easier than ever to get trained with our simple financing options. Call to find out how to apply for financing now (480) 446-0400 or contact us at, www.eRenewableResouce.com. Get Paid to Train in Solar Now! The time is now for green jobs and trained workers are in higher demand than ever. Arizona is on board as one of the key states working hard to make solar energy and renewable energy readily available with the building of the largest solar power plant in the world, Solana, as it has been named, in Gila Bend. All three eRenewable Resource Institute programs are approved by the AZ Workforce Connection which provides funding for under or unemployed workers who want to break into solar industry. This is your entrance into an exciting entry-level career in the growing renewable energy industry. Students develop basic trade knowledge of photovoltaic (PV) systems, designs and safe installation of residential and commercial solar-electric systems. This classroom oriented session expands upon PV100. It focuses on the National Electric Code (NEC), including grid interface calculations, grounding considerations and wire sizing. Participants evaluate system performance under various operating conditions. Commercial system design elements, including inter-row shading, inverter selection, and data monitoring solutions, are covered. This hands-on workshop offers three (3) days (8am-5pm) of supervised installation practice on solar-electric systems. This workshop focuses on how to safely install, test and commission solar-electric systems. Hands-on labs for installation of source electrical including: disconnects ac/dc, inverters, meter base, combiner boxes, utility interconnects. Osha safety training integrated in program. All of these courses provide eligibility for a paid internship through our staffing partner, ARG Staffing. All our students also qualify for ARG Staffing’s free “green staffing machine,” services that include assistance with job placement and career enhancement. Don’t hesitate to get into the well-paying, secure field of solar design and installation. It’s easy with eRenewable Resource Institute! Classes are limited so call today or visit their website for a complete list of available classes and dates. If you are a business owner looking to add solar installation and design to your services you may be eligible to get up to 90% of your training costs reimbursed. Depending on the size of your company the funding can range from 50% – 90%! In 1998, President Clinton signed the Workforce Investment Act (WIA), a federal law designed to improve the quality of the U.S. workforce, enhance the competitiveness of the nation, and reduce welfare dependency. The WIA helps business owners, like you, get the trained workers you need, when you need them. Not only does the WIA help you, but it also strengthens economic development, while building the states program. Unemployed and dislocated workers can get re-skilled through this program and back working, which not only helps the individual but the state, and ultimately our U.S. economy as a whole. The eRenewable Resource Institute of Arizona offers solar programs approved by the AZ Workforce Connection with all classes qualifying for Arizona’s State Fund TUITION REIMBURSEMENT through the WIA. As a licensed post secondary solar school and industry approved renewable energy institute, they can help you, or your employees become experts in solar with funding from the state of Arizona. We also take the leg work out of filing by assisting you with completing the form to acquire funding and getting it to the State Department for approval within a week. If you are looking at sending workers for training, you only need to file once to secure AZ State Funding for all your employees for any of our classes. Visit www.eRenewableResouce.com or contact them by Phone at (480) 446-0400 to get the workers you need to take advantage of the high demand for solar installation and design. The great state of Arizona showed itself once again to be the wild and crazy state on Wednesday morning after the recent primary elections. There were surprises galore once again this time around. Of course the biggest to the solar industry, which so closely, follows the activities at the Arizona Corporation Commission, was the primary loss of Renz Jennings in the Democratic Primary. Most people expected Renz to cruise to victory, but that did not happen. On the Republican side, Commissioner Gary Pierce and Brenda Burns comfortably beat Barry Wong. They will face Democrats Jorge Luis Garcia and David Bradley in the General election. If you missed the Meet the Candidate event that AriSEIA held on August you missed a great event that brought most all of the ACC candidates to The Phoenician, in Scottsdale, to answer questions from the industry on their positions on issues important to the solar industry in Arizona. Over 300 people showed up for the forum and the mixer that followed. Thanks go out the many people helped put the event together including the main sponsors, Snell & Wilmer Law and the Greater Phoenix Economic Council. Thanks should also go out to the Phoenix Green Chamber of Commerce and the Arizona Solar Center who helped make this event a success. One surprise on the legislative side was the loss of Ken Clark in the District 15 House of Representatives race. Ken, a former legislator, lost his race to Lela Alston and Katie Hobbs. Although we are sure that whoever is elected from District 15 will be supportive of solar and renewable energy, we will miss not having Ken in the Arizona Legislature once again. Not much coming out of Washington these days, since November elections are near. However, in early August, Congress rescinded $1.5 billion of funding from the DOE Loan Guarantee Program to offset spending on other programs. Before the funding was rescinded, two loans were guaranteed. Abound Solar Manufacturing was offered a conditional guarantee for the manufacturing of thin films photovoltaic panels in Indiana. The factory will operate out of a new factory built for a Chrysler auto parts supplier that they were never able to move into due to the economic downturn. Here in Arizona, Abengoa Solar Inc. was given a conditional guarantee for the Solana Power Plant in Gila Bend. Evidently, there is a promise from the Obama Administration that the funds will be restored so that projects planned for later this year can move forward. The Arizona Corporation Commission recently held a workshop on Feed in Tariffs and the impact that a FIT program would have in Arizona. AriSEIA President, Lee Feliciano, provided the workshop attendees with a presentation on successful FIT’s in other areas. At this point, the APS has incorporated a FIT Pilot Program into their 2011 Implementation plans. We will keep an eye on the other regulated utilities to see what develops. Also at the Commission, it appears that a battle is looming over Aggregated Net Metering (AGM). Pima County is asking the commission to aggregate all of its meters and install a large photovoltaic system and net meter the excess electricity. Tucson Electric is opposing to this concept and is questioning the numbers that Pima County has provided in their filing with the Commission. A workshop is being held today so that each side can make it’s case. The AriSEIA Residential and Commercial Groups are working on comments that will be filed with the Commission. One thing that I neglected to mention in my last update was the IRS Private Letter regarding the Investment Tax Credit and utility payments for the Purchase of Renewable Energy Credits. The letter was sought by American Solar Electric through the law firm, Snell and Wilmer. I protested to no avail when the utilities started advertising solar programs using the term rebates, because the payment that a ratepayer receives from the utility is not a rebate, but a purchase of renewable energy credits generated by the solar system being installed. These are two different types of transactions and are treated differently in tax code. A rebate must be subtracted; however a purchase of renewable energy credits does not need to be subtracted before applying the 30% ITC. The funds received from the utility are, however, considered taxable income. I have attached the IRS letter. Thanks go out to American Solar Electric for pursuing the issue and finally obtaining clarification for the industry and Snell and Wilmer for so capably handling the matter. If you have not already done so, mark your calendars for Thursday, Feb 3, 2011. We have reserved the Senate lawn for Solar Day at the Arizona Legislature. We are working on plans for a mini trade show for legislators and other policy makers. We will also be working with AriSEIA members to hold a “Lobby Day” at the Legislature. We will assist members with making appointments with their legislators, letting them know the importance of the solar industry to Arizona’s economy and air quality. We will be looking for sponsors for the event. If you are interested in sponsorship, feel free to contact me. Solar Power International is coming soon! Mark your calendars for October 12 to the 14 for Solar Power International, the biggest and greatest solar event of the year. It is the largest solar conference and expo in North America, currently by a factor of more than 5, and attracts the widest range of professional attendees. The event also educates consumers through a one-night public opening of the expo hall. Arizona Republic, Aug. 27] The Arizona Energy Office is distributing more than $2.7 million in new stimulus grants for seven new or expanding renewable-energy companies, Gov. Jan Brewer’s office said Thursday. The Energy Office in the state Commerce Department, recently changed into the Commerce Authority, got $55.4 million from the American Recovery and Reinvestment Act in 2009. After reviewing funding requests for a variety of programs, it is now distributing that money for several initiatives. The manufacturers whose grants were announced Thursday are required to create two jobs per $100,000 in grants, pay 50 percent in matching funds, and have their factories running or upgraded within a year. [ForConstructionPros.com website, Aug. 20] BP Wind Energy wants to dramatically increase wind power in Arizona with a proposed 500-megawatt power plant that would be the state’s largest wind farm and potentially open the door to other large-scale wind power development. The Houston-based company’s Mohave County Wind Project in northwest Arizona, south of the Lake Mead National Recreation Area, would include as many as 335 wind turbines spread across portions of 40,298 acres of federal land overseen by the Bureau of Land Management and the Bureau of Reclamation. BLM is accepting public comments on the Mohave County proposal through Sept. 9 and will hold a series of public meetings before initiating an environmental impact statement (EIS) for the project, said Jerry Crockford, BLM’s contracted project manager for the wind farm. The company wants the estimated $1 billion plant in operation by 2012, when it could power as many as 425,000 homes in Arizona, Nevada and California, said Daniel Runyan, BP Wind Energy’s senior director of business development. [Arizona Republic, Aug. 27] Arizonans have cleaned algae from cattle tanks, swimming pools and fish tanks for decades. Now, Arizona researchers are developing algae as a promising 21st-century alternative fuel to power cars, trucks and planes and propel the state’s economy into the future. With its ideal climate and abundance of available land, Arizona is poised to become a major center of a multibillion-dollar, algae-based, biofuel industry. Scientists at Arizona State University’s Polytechnic campus say major innovations in research in recent years have put them on the brink of boosting production capabilities from thousands of gallons to millions – the difference between powering a few vehicles and fueling millions of cars and fleets of airliners. ASU researchers say they are three to five years from large-scale production, a breakthrough that could eventually reduce U.S. dependence on foreign oil. [Arizona Business Gazette, Aug. 26] Students and instructors who pull into the south parking lots of Arizona State University’s West campus will find relief from the heat under a project designed to eliminate the university’s carbon footprint. Looming over the parking spaces are massive shade structures made up of hundreds of photovoltaic solar panels. Tilted to the south to catch rays the entire sun-drenched day, the panels are part of a wider solar project that could feed at least half of the energy the campus needs. By the end of the year, nearly 10,0o00 panels will provide shaded parking over three south-facing parking lost. Arizona Corporation Commission action Tuesday affirmed that in less than a year, the Solar Zone at the University of Arizona Science & Technology Park, or UA Tech Park, has moved from an on-paper concept to a bustling, solar-centric business zone that is advancing solar energy innovation and production. The Solar Zone is the intended site of four of 10 new solar power plants developed through contracts with Tucson Electric Power, or TEP, that were endorsed Tuesday by the commission. The new projects will combine with two previously announced systems to expand the Solar Zone’s total solar generating capacity to nearly 20 megawatts, making it one of the largest contiguous solar facilities in the nation. Together, the systems will generate enough clean energy to power more than 4,600 Tucson homes annually. The four new Solar Zone tenants A partnership with Tucson Electric Power has helped the UA Tech Park become a bustling, solar-centric business zone that’s advancing solar energy innovation and production. [Arizona Daily Star, Aug. 26] State utility regulators have approved Tucson Electric Power Co.’s plan to buy the output of 10 new renewable-energy projects that together will generate nearly 150 megawatts – enough energy to power more than 30,000 Tucson homes. The agreements approved by the Arizona Corporation Commission allow TEP to purchase energy from eight new Tucson-area solar power systems, including four projects at the Solar Zone, a generation and demonstration project at the University of Arizona Science and Technology Park. The other projects are a landfill gas generation project at the Tangerine Road landfill, and a New Mexico wind farm. The first systems completed could start producing power in 2011 or 2012, TEP said. Two solar projects in TEP’s original application have been delayed and so were not part of the package approved by regulators. If you have any questions, feel free to contact me. Thank you for your support.